Ignotas Apparel Yoga Mat Backpack: Multi Purpose Bag For Yoga, Travel and the Gym~ Carry Your Mat and Gear in One Bag! 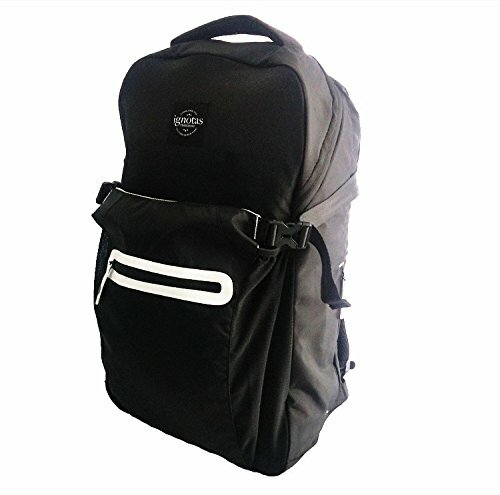 Designed by a yogi based in NYC, this stylish and multi purpose backpack means you no longer have to carry your mat and fitness gear in two separate bags. When not being used to carry a yoga mat, the large front pocket can hold a bike helmet or a beach towel. These are just a few ways to use this bag and you will be amazed by how packable and versatile it is! We are a new company and feel free to message us if you have any questions or concerns. If you have any questions about this product by Ignotas Apparel, contact us by completing and submitting the form below. If you are looking for a specif part number, please include it with your message.